Establish the FUNdamental Fitness program as fun way to train the body . 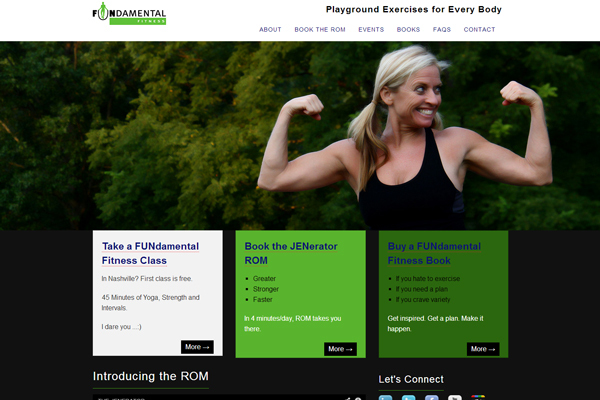 Segment the website in to the FUNdamental Fitness book, training classes plus the new addition of a ROM machine. Utilizing a strong palette and minimalist design, vibrance and energy was conveyed.